Your source for site news and updates! 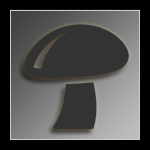 Come chat with fellow mycotopiates and play your favorite music! Where do i find Supplies ? The monarchs are migrating through my yard! Gozillions of them! Awesome, would love to see a pic if you can get one! getting a cochlear implant april 22, I have a few weeks of chilling at the house. I should be on a lot more. It's been a long wait wharf, and I hope the improvement will be "life changing", in a very good way !!!! Made me feel loved. Going to check out Kahlil Gibran. Took your advice !!! Glad I did !! Yep that's much better, thank you very much skywatcher!